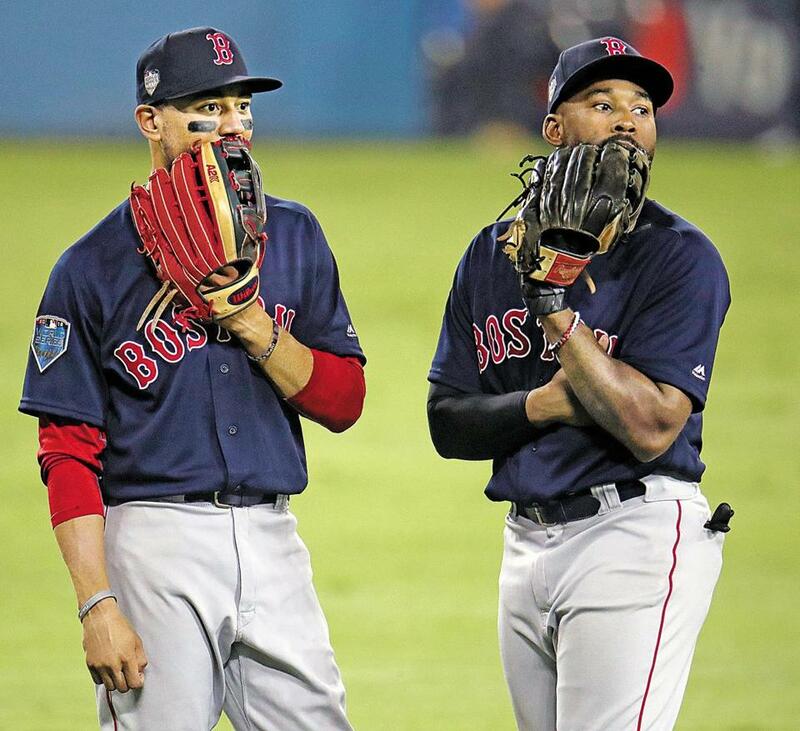 Mookie Betts (left) and Jackie Bradley Jr. wait for the umpire to review a play in the 13th inning. 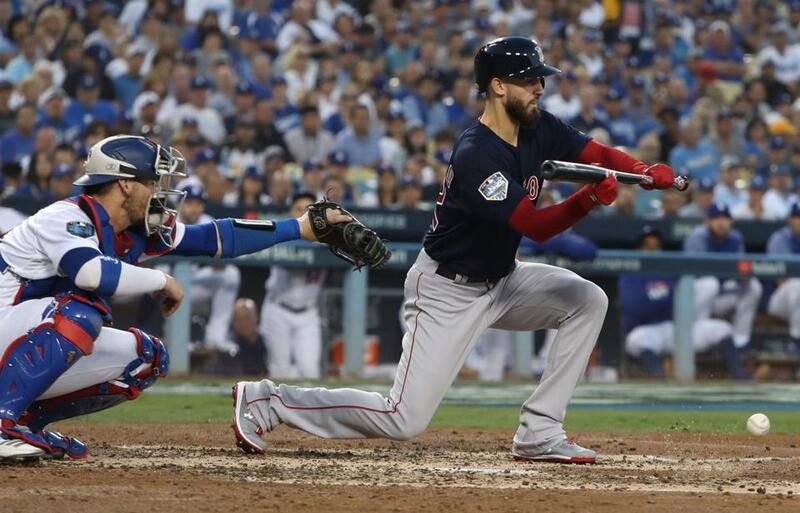 The Red Sox fell to the Dodgers, 3-2, in Game 3 of the World Series, a 7-hour-20-minute game, the longest in postseason history. The Red Sox hold a 2-1 series lead. Here is our game story from a long night at Dodger Stadium. Bottom: Nathan Eovaldi came back in to pitch for Boston, but Max Muncy blasted a solor homer to end the game. Pitch was a 90 mile per hour cutter. Eovaldi usually throws it about five MPH faster. Outer half to a lefty, curled right into Muncy's barrel. Ballgame. Top: Alex Wood came on to pitch for LA, and walked Sandy Leon. Mookie Betts grounded into a force-out at second, but he was ruled safe at first. Xander Bogaerts grounded into an inning-ending double play. Betts and Bogaerts now 0-15. After he dove into first in Wood?s throw, Betts just kind of laid on the bag for a few extra beats. Exhaustion. Bottom: With Nathan Eovaldi still on the mound, Enrique Hernandez popped out to start the frame. Clayton Kershaw then pinch-hit for Julio Urias, lining out to right. Justin Turner then struck out swinging. Been covering baseball games since I was 16. High school, Legion, college, minors and now the big leagues. What Eovaldi is doing is the most impressive thing I've seen in a game. What?! 96 mph cutter?! Eovaldi is through 6 innings of no earned runs in relief. Top: Julio Urias replaced Kenta Maeda on the mound. Brock Holt flied out to center before Eduardo Nunez popped out to shallow right field. Then Jackie Bradley Jr. walked, and Christian Vazquez grounded out to end the inning. Bottom: Nathan Eovaldi is still on the mound for Boston. 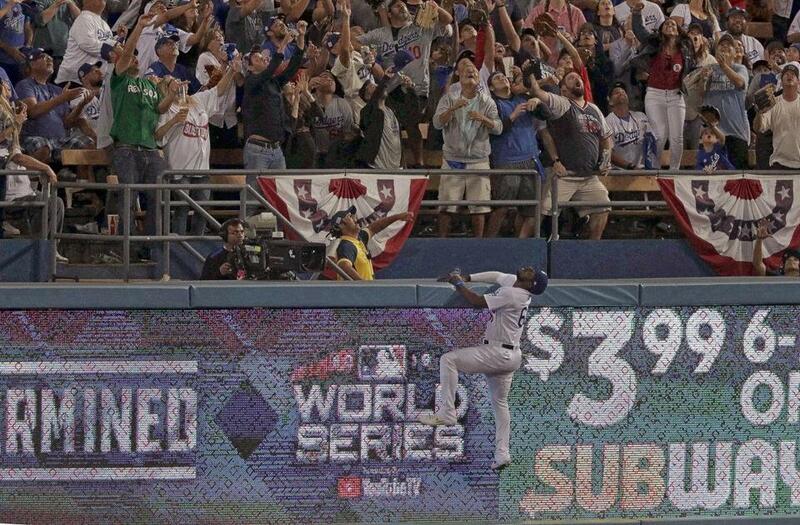 Yasiel Puig poppd out for the first out, Eduardo Nunez tracking down a shallow ball to make the catch. Then Austin Barnes flied out to center, and David Freese struck out swinging to end the inning. Top: With Kenta Maeda still on the mound, Xander Bogaerts, Nathan Eovaldi, and Ian Kinsler all struck out. Betts and Bogaerts now 0-13 at the top of the Sox order. Bogaerts has hobbled in the box after back to back swings/misses. Clear limp by Bogaerts on the way back to the dugout after the K.
Bottom: Nathan Eovaldi remained on the mound for Boston. He struck out Max Muncy on a 10-pitch at-bat. On the ninth pitch, Muncy launched a foul ball that was awfully close to being a home run. Manny Machado then popped out. Cody Bellinger was called out on strikes to end the inning. 69 pitches and still pitching to a gameplan with nasty stuff. Absolutely incredible work by Eovaldi. Nathan Eovaldi, still throwing gas in his fifth inning then drops a curve to freeze Bellinger. Eovaldi has pitched seven innings in the last four days and allowed one unearned run. This is legendary and he's now on deck. 34 degree launch angle, 96 mph exit velo, juuuuuuust foul for Muncy. Eovaldi bounces back with a 92 mph swing/miss cutter. Top: Righthander Kenta Maeda replaced Dylan Floro on the mound. David Freese misplayed a grounder by Eduardo Nunez, who reached first. Maeda then walked Jackie Bradley Jr. to put runners on first and second. Christian Vazquez bunted, and Nunez was forced out at third. Bradley moved to second. Sandy Leon struck out swinging for the second out of the inning. Mookie Betts was then called out on strikes. Betts 0 for 6 with three strikeouts. He and Bogaerts are 0 for 12. 8th career three-strikeout game for Betts and his second in postseason play (also 2017 ALDS vs Houston). Bottom: David Freese grounded out before Enrique Hernanez singled on a ground ball to center field. Then Joc Pederson popped out and Justin Turner flied out to right to end the inning. Top: Nathan Eovaldi led off the inning and was called out on strikes. Ian Kinsler then flied out to center, and Brock Holt struck out to end the inning. This is officially the longest World Series game by time and innings. Bottom: The Dodgers got their lead-off man on first with a walk, as Max Muncy checked his swing on a 3-2 pitch. After Manny Machado flied out, Eduardo Nunez tracked down a foul ball hit by Cody Bellinger for the second out of the inning, and Muncy advanced to second. Nunez’s momentum took him into the stands after he made the catch. Yasiel Puig hit a grounder up the middle, but Ian Kinsler could not make the throw to first, which allowed Muncy to score and tie the game. Puig did not advance to second after replay review. Austin Barnes popped out to end the inning. Kinsler lost his footing, we have our second run-scoring error of the 13th, a tie game, and a pulsating Dodger Stadium. Eovaldi isn?t as sharp tonight: 15 strikes, 13 balls. History repeating? Red Sox are playing their longest WS game since 1916 Game 2 vs the Dodgers? forebears, the Brooklyn Robins, a 2-1, 14-inning win for Boston. The Red Sox have now thrown a complete-game shutout since Pederson delivered the only Dodgers run in the third. Top: Scott Alexander remained on the mound for LA. Brock Holt drew a lead-off walk. During Eduardo Nunez’s at-bat, Alexander’s pitch bounced into Barnes, who upended Nunez while trying to locate the ball. Holt advanced to second. Nunez was shaken up on the play, but he remained in the game. 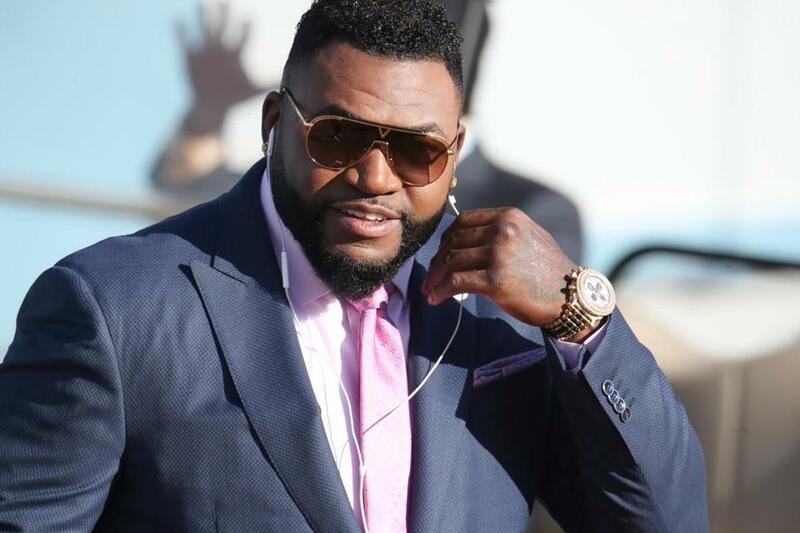 Nunez then hit a soft-hit, infield chopper, but Alexander couldn’t connect with Enrique Hernandez to make the out. The ball got away from Hernandez, allowing Holt to score. Jackie Bradley Jr. flied out, and Dylan Floro entered the game for Alexander. After Christian Vazquez struck out swinging, Sandy Leon doubled on a line drive to right field. Mookie Betts was then intentionally walked to load the bases. The Dodgers escape the inning after Xander Bogaerts grounded into a forceout. Eduardo Nunez tries to get out of the way of Dodgers catcher Austin Barnes at home plate in the 13th inning. Bottom: Starter Nathan Eovaldi entered the game, leaving Drew Pomeranz as the lone man in the bullpen. Christian Vazquez moved to first base, bringing Sandy Leon on to catch. Eovaldi retired the side in order: Enrique Hernandez grounded out to first, Joc Pederson flied out the center, and Justin Turner struck out swinging. Eovaldi’s final pitch of the inning was a 101.1-mile per hour fastball to get Turner. Top: Ryan Madson took the mound for LA. Xander Bogaerts grounded out for the first out, and then Madson was pulled for lefty Scott Alexander. Mitch Moreland struck out swinging, and Ian Kinsler grounded out to end the inning. Bottom: Heath Hembree relieved Craig Kimbrel. After Cody Bellinger grounded out and Yasiel Puig flied out, Hembree walked Austin Barnes on eight pitches. Chris Taylor worked a full count and struck out swinging to end the inning. 11 innings and there have been only 5 at-bats in this game with runners in scoring position. Hembree in. He's the 11th player the Sox have used in the 9th spot of the order. Top: Pedro Baez remained on the mound for LA. After Jackie Bradley Jr. struck out swinging and Christian Vazquez grounded out, Steve Pearce, pinch-hitting for Kimbrel, reached first on a seven-pitch walk. Mookie Betts flied out to center to end the inning. Bottom: Craig Kimbrel remained on the bound for Boston. Joc Pederson popped out to third before Justin Turner grounded out to third. Max Muncy reached second on a two-out ground-rule double. Manny Machado popped up to end the inning. Top: Pedro Baez is on the mound for LA. Mitch Moreland lined out to right for the first out. J.D. Martinez reached base on a seven-pitch walk. Ian Kinsler then came on as the pinch-runner. Baez attempted to pick off Kinsler, who was ruled safe. The Dodgers challenged the call, but it was not overturned. Brock Holt singled on a line drive up the middle, and Kinsler advanced to third. Eduardo Nunez flied out to center, but Cody Bellinger was able to make to throw to home in time for catcher Austin Barnes to tag Kinsler. Ian Kinsler was tagged out at the plate by catcher Austin Barnes on a throw from Cody Bellinger. Extra innings in Game 3. Moreland, Martinez and Holt due up. They'll face Pedro Baez. Bottom: David Price took the mound for Boston, and the Sox re-aligned their outfield to normal. Cody Bellinger singled on a line drive to left field. Yasiel Puig then popped out to right. During Yasmani Grandal’s at-bat, Bellinger got caught stealing for the second out. 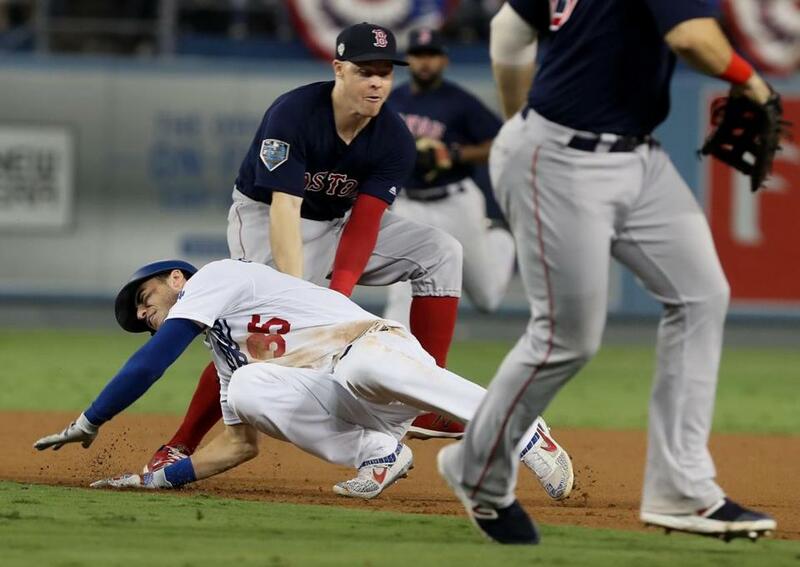 Brock Holt tags out Cody Bellinger. Grandal reached first on a six-pitch walk, and closer Craig Kimbrel came in for Price. Kimbrel walked Chris Taylor on seven pitches to put runners on first and second. Austin Barnes entered the game to pinch run for Grandal. Pinch-hitting for Kenley Jansen, Brian Dozier popped out in foul territory to end the inning. Bellinger with a very nice left-on-left approach vs Price, staying on the pitch and waffling a single down the LF line. He?s capable of being a very well-rounded hitter and cutting down K rate. Top: Kenley Jansen remained on the mound for LA. 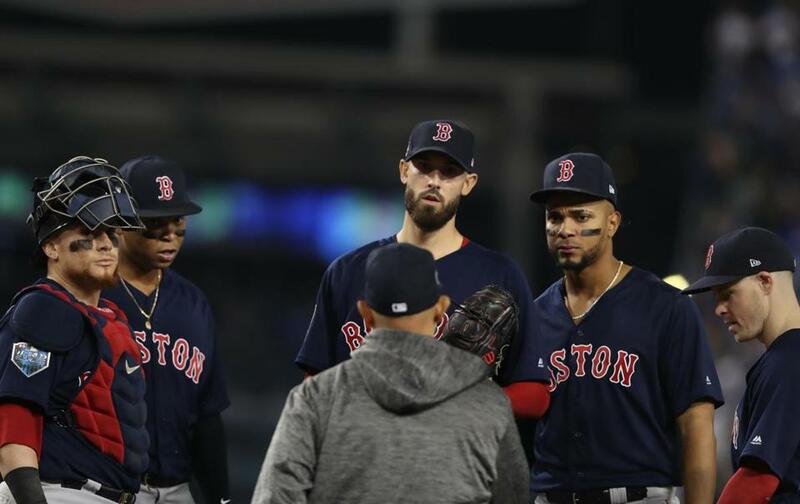 Andrew Benintendi, pinch-hitting for Matt Barnes, struck out swinging, Mookie Betts flied out to center, and Xander Bogaerts grounded out to end the inning. Bottom: Matt Barnes took the mound for Boston and struck out Joc Pederson on a nine-pitch at-bat. Justin Turner then singled on a line drive to left. Mitch Moreland fielded a shallow hit from Max Muncy to throw Turner out at second. Turner clipped Xander Bogaerts’s right shin on his slide into second base, and Bogaerts was upended after making the throw to first. Muncy was safe. Turner slid into Bogaerts, prompting a visit from a team trainer. Alex Cora switched the alignment of the outfield, moving Jackie Bradley Jr. to left, J.D. Martinez to right, and Mookie Betts to center. Manny Machado then struck out swinging to end the inning. 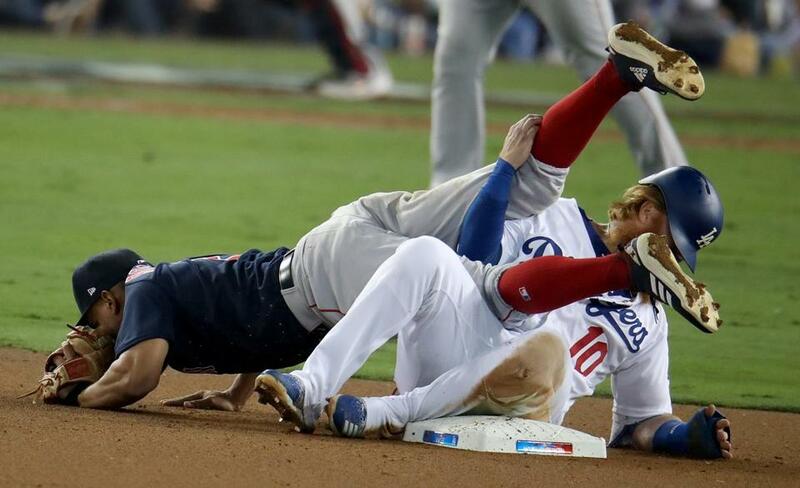 Justin Turner collided with Xander Bogaerts at second base in the eighth inning. Barnes fans Machado and pumps his fist after a spin off the mound. Two dudes who don't much like each other there. Top: Kelly Jansen replaced Walker Buehler on the mound. 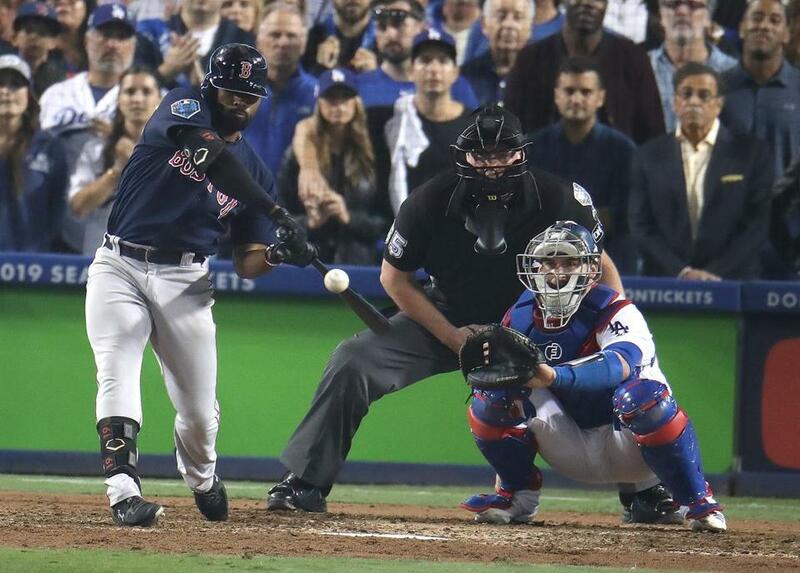 After Brock Holt flied out and Rafael Devers struck out, Jackie Bradley Jr. hit a solo blast into the stands to tie the score. Christian Vazquez popped out to end the inning. Jackie Bradley Jr. hit a solo home run in the eighth inning. A game-tying home run by center fielder Jackie Bradley Jr. (19) is in the stands during the eighth inning. Jackie Hero Jr. does it again. Huge homer off Jansen to tie it. Can't say I've ever seen him raise his arm like that before. Wow. Bottom: Ryan Brasier replaced Joe Kelly on the mound. Yasiel Puig hit a high-bouncing chopper to third for a single. Mitch Moreland wasn’t able to field Rafael Devers’s throw that was too far off the bag to keep Puig at first. Yasmani Grandal struck out swinging, Chris Taylor lined out to the warning track, and Matt Kemp, pinch-hitting for Buehler, grounded out to strand Puig. Top: Xander Bogaerts lined out to center, Mitch Moreland was called out on strikes, and J.D. Martinez struck out swinging. Walker Buehler’s pitch count: 108 (72 for strikes). He has struck out seven batters. Early, Buehler established his fastball and it was so overpowering that it got foul balls rather than solid contact over the plate. Then, he had the whole 5-6 pitch mix, moving up down. So, yes, Buehler threw some pitches that were in good zones for hitting. But the Sox hitters couldn't sit on either pitch type or those zones because Buehler wasn't working to them consistently. And if he didn't throw where they were looking, the stuff was too good to hit. Pitch 108: 98 mph swing/miss vs Martinez to finish the 7th. Amazing, amazing stuff from Buehler. Bottom: Righthandeder Joe Kelly took the mound for Boston. 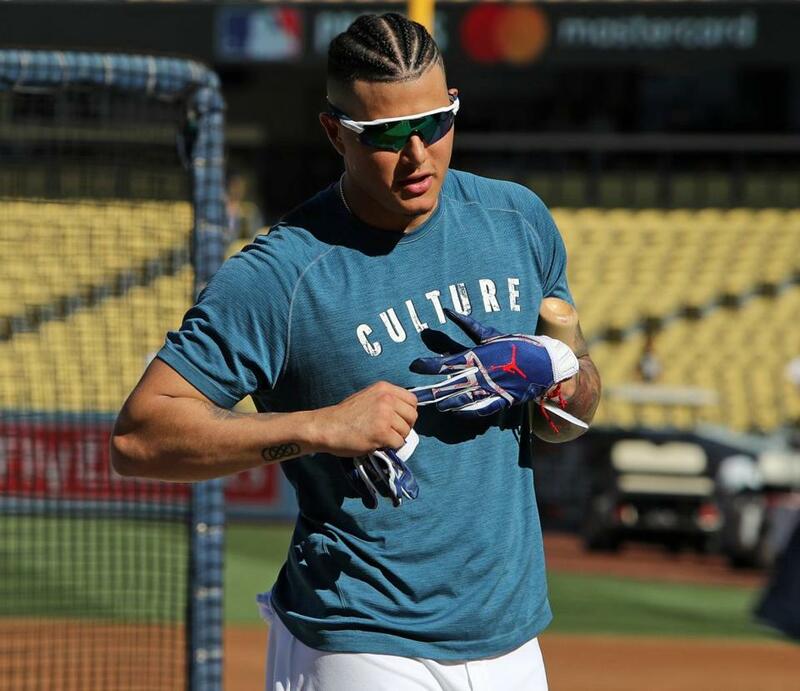 After Mookie Betts caught a shallow line drive from Justin Turner and Max Muncy grounded out, Manny Machado singled off the left-field wall. Machado, who appeared to think his ball was on its way out of the park, did not hustle to first. Cody Bellinger popped out to end the inning. Betts plays one of the shallowest RFs in MLB, allowing him to get to that Turner fly to shallow right. Puig doesn't get to that ball. Top: Christian Vazquez was thrown out at first on a chopper up the middle. Pinch-hitting for Eduardo Rodriguez, Blake Swihart grounded out after getting jammed on a check swing. Mookie Betts struck out looking to end the inning. 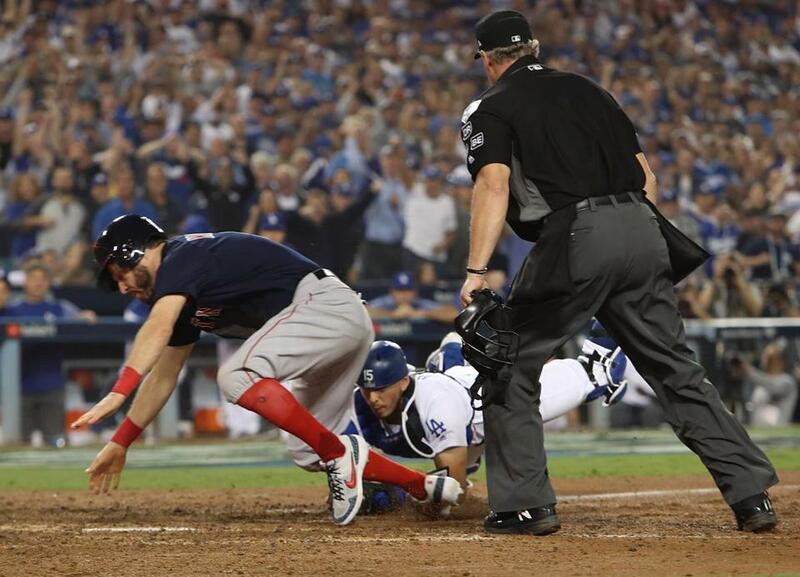 Bottom: Yasmani Grandal’s hard-hit grounder got past a diving Brock Holt for a single. After Chris Taylor flied out to center and Walker Buehler struck out on a failed bunt, manager Alex Cora pulled Porcello from the mound. Lefty Eduardo Rodriguez entered the game. Joc Pederson struck out swinging to end the inning. 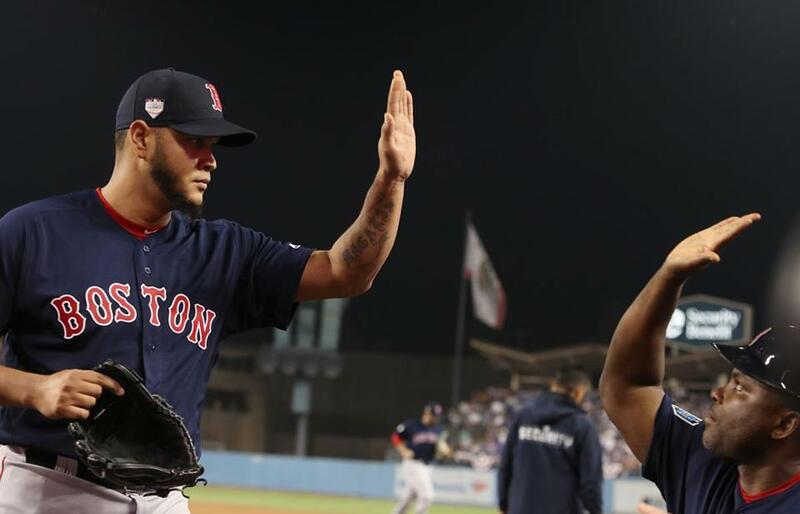 Eduardo Rodriguez gets a high five from pitching coach Carlos Febles after he struck out last batter in the fifth inning. Rodriguez stays with the left-on-left changeup (good pitch-calling by Vazquez) to strike out Pederson. Alex Cora pulling Rick Porcello from the game in the fifth inning. Save one mis-located changeup, Porcello did everything he was supposed to do. Only the 4th time this postseason a Red Sox starter left the mound without the lead. Top: The Red Sox couldn’t get anything going against Walker Buehler, who retired the side in order for the second straight inning. 11 foul balls for the Sox in the first inning, 11 in the four innings since. Buehler has taken control. Very efficient. The Red Sox were elite this year vs 95+ mph, but 97-100 is a different gear... particularly now that Buehler is incorporating the whole mix. Buehler and Eovaldi - two pitchers with the ability to drop 100s while throwing 4 additional pitches. Crazy. Buehler's cutter tonight is averaging 94.2 mph. That would be the hardest cutter (by velo) for any start in MLB this year (min. 10 cutters thrown); Eovaldi is the current standard setter with an avg 94.0 mph cutter on 8/21. Bottom: Rick Porcello notched his fourth strikeout of the game and retired the side in order. 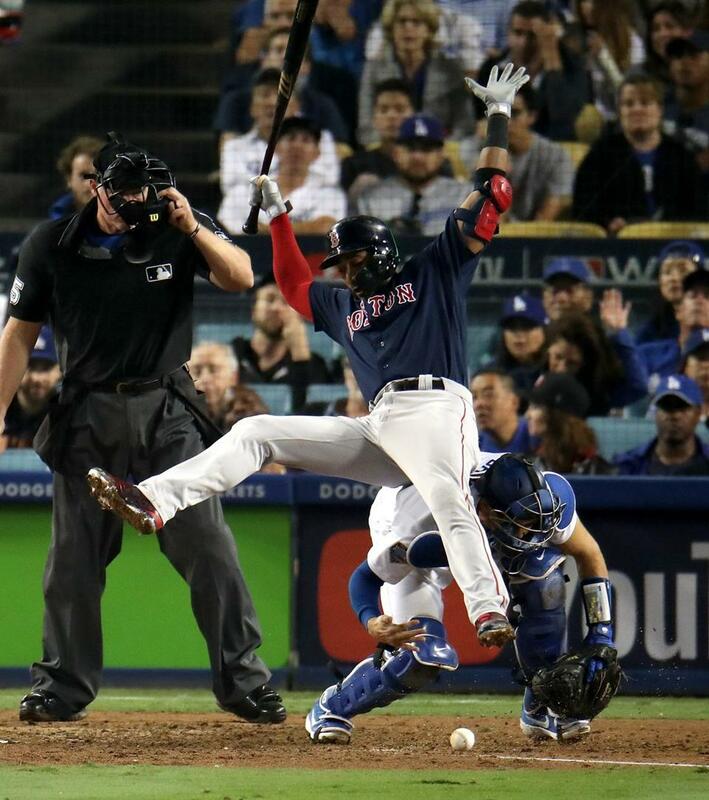 Top: Xander Bogaerts grounded out to short, Mitch Moreland flew out to left, and J.D. Martinez was called out on strikes. Bottom: Xander Bogaerts made a great throw to first to get Chris Taylor out. Walker Buehler then struck out looking. But on the first pitch of his at-bat, Joc Pederson launched a solo home run to give the Dodgers a 1-0 lead. Pederson’s blast had an exit velocity of 106 miles per hour and traveled an estimated 380 feet. Justin Turner then reached second on a double to left field. Max Muncy flied out to left to end the inning. Remember, Pederson saw a lot of Porcello?s repertoire in his nine-pitch K. Terrible location on a first-pitch changeup down the middle, and he was ready to ambush. 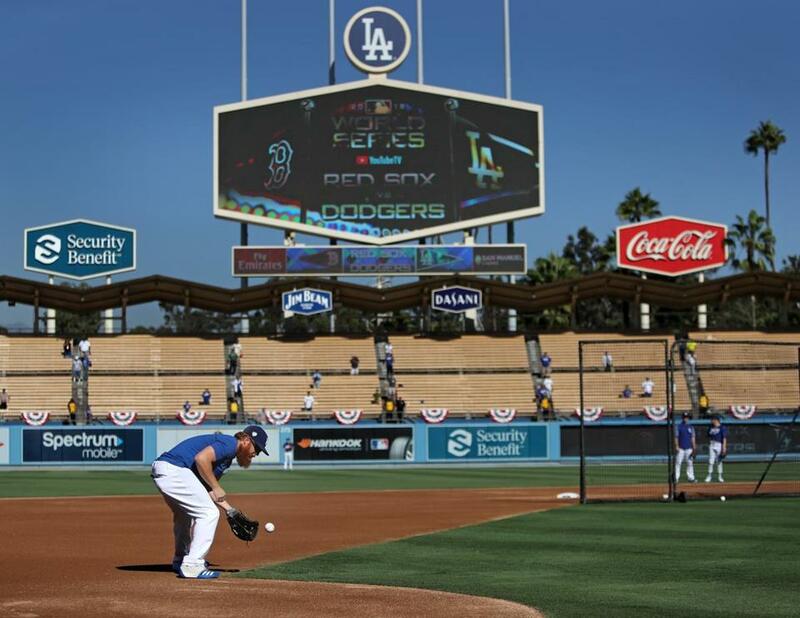 Dodger Stadium has come to life. 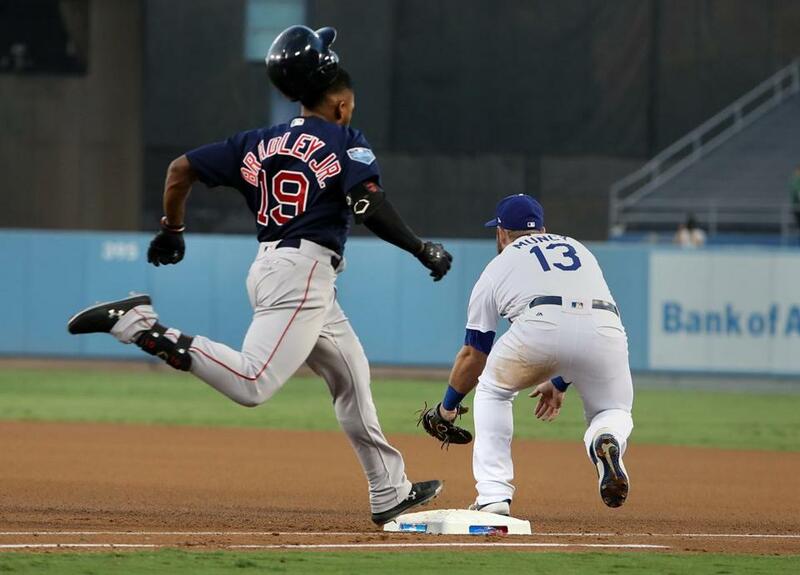 Top: Jackie Bradley Jr. reached first on a base hit up the middle, despite a sliding grab and throw by Justin Turner. Bradley then attempted to steal second but was tagged out. Christian Vazquez reached first on a line drive to left, Joc Pederson unable to make the diving catch. Rick Porcello bunted to advance the runner, but Mookie Betts flied out on Walker Buehler’s next pitch. Buehler’s pitch count: 55, 38 for strikes. Rick Porcello successfully executed a sacrifice bunt to advance the runner to second base in the third inning. Jackie Bradley Jr. beat out the throw for a single in the third, but was tagged out when trying to steal second. Bottom: Cody Bellinger flied out to J.D. Martinez in left field. Yasiel Puig lined out to center, and Yasmani Grandal struck out looking to end the inning. Rick Porcello’s pitch count: 29. Top: J.D. Martinez, Brock Holt, and Rafael Devers all grounded out. Walker Buehler’s pitch count: 39. Bottom: After Joc Pederson struck out swinging and Justin Turner flew out to center, righthander Rick Porcello walked Max Muncy on six pitches. Manny Machado grounded out to end the inning. Top: Lead-off hitter Mookie Betts struck out looking, Xander Bogaerts struck out swinging, and Mitch Moreland popped out to right field. 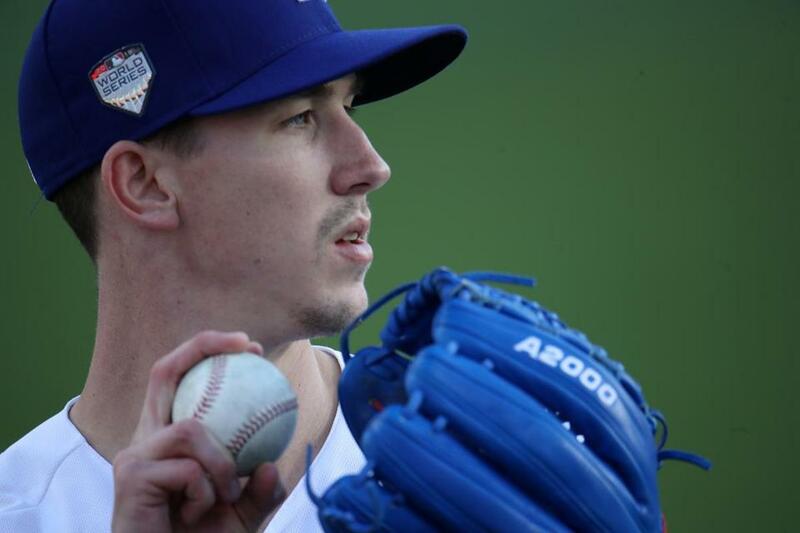 During Betts’s at-bat, righthander Walker Buehler’s pitch velocity hit at least 99 miles per hour four times. 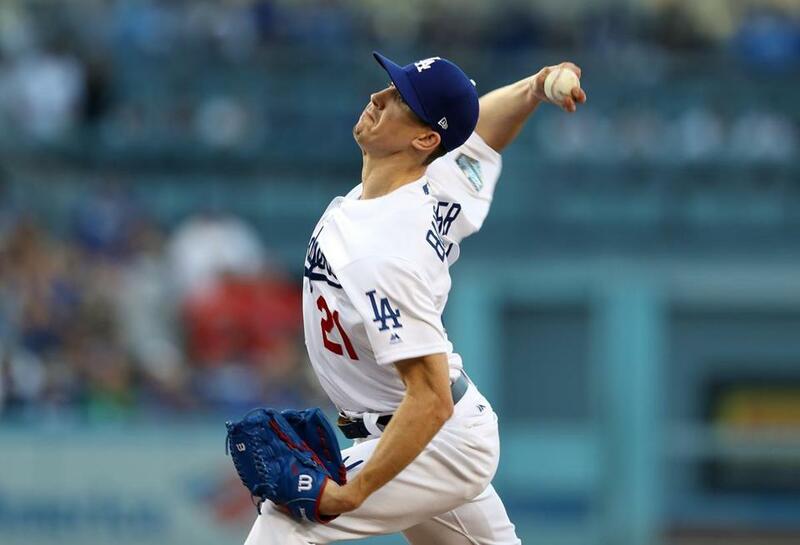 Walker Buehler threw 26 pitches, 18 for strikes, in the opening frame. Dave Roberts said yesterday what the Dodgers needed most was for Buehler to work deep into the game. 1-2-3 first inning but took 26 pitches. 11 foul balls for the Sox in the first. Something to watch as the game goes on. Also: As good as Buehler?s stuff is/was (average four-seam velo: 98.8 mph), the Sox swung/missed Just twice in the inning. Buehler strikes out Betts looking, but Betts makes him labor through an 8-pitch at-bat to open the game. Very impressive start for both. 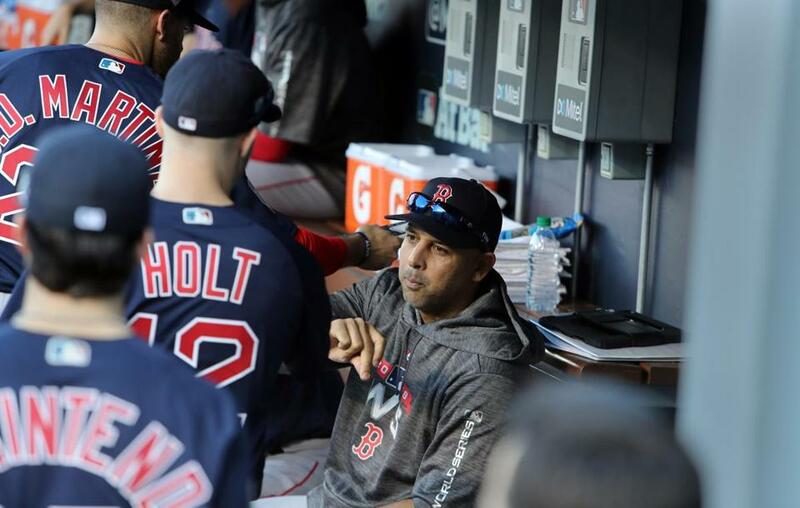 Red Sox manager Alex Cora in the dugout with players before Game 3. Rick Porcello warming up before the game. Dodgers starting pitcher Walker Bueller warms up before the game. 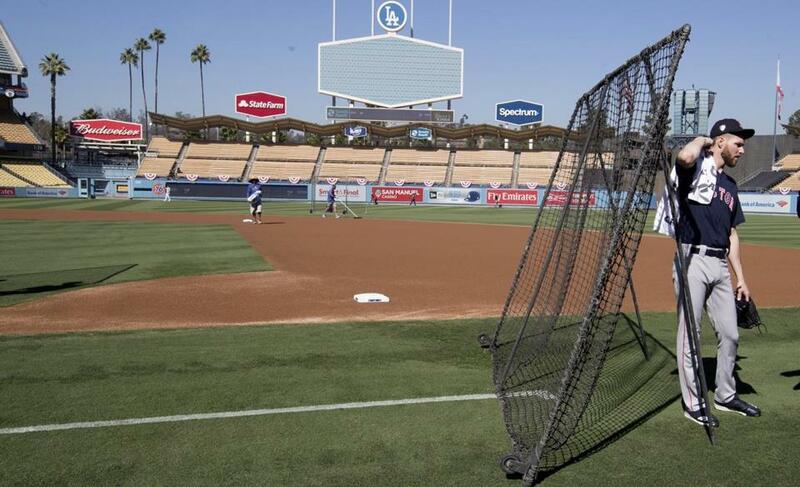 Justin Turner taking a ground ball during batting practice. Xander Bogaerts coming out of the dugout for batting practice. Manny Machado on the field during batting practice. David Ortiz at Dodger Stadium before the game. 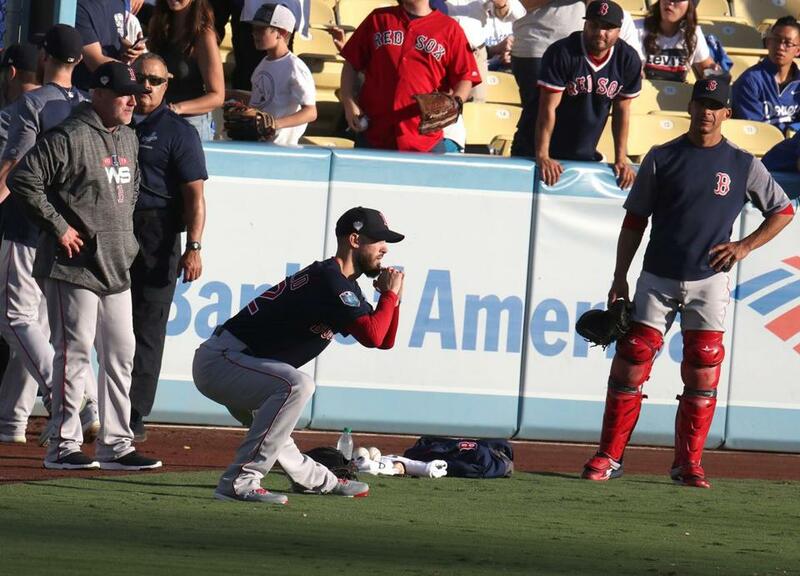 Eduardo Nunez wiped his brow during batting practice with Xander Bogaerts next to him before Game 3. Martinez: ?Obviously it?s a huge award. I feel very honored to receive it. From where I was five years ago to today, it?s a blessing.? Martinez said as he learned about the game, many of the stories were about Hank Aaron. Martinez: ?If you look at the numbers, (Aaron) was the best righthanded hitter in baseball.? Aaron: ?I told Willie Mays that if he and I were playing they?d probably be sending us to Class D ball? because of the quality of pitchers? stuff now. 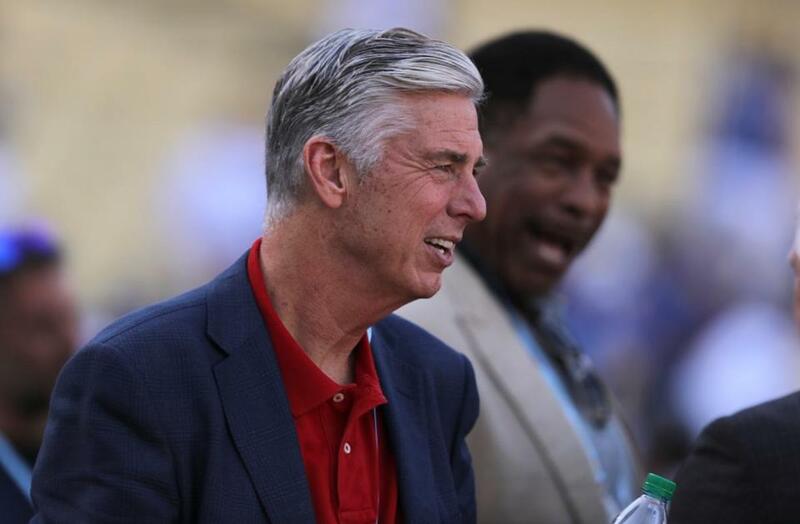 Rob Manfred: ?I know JD is eager to get back to work. I promised I?d be brief.? 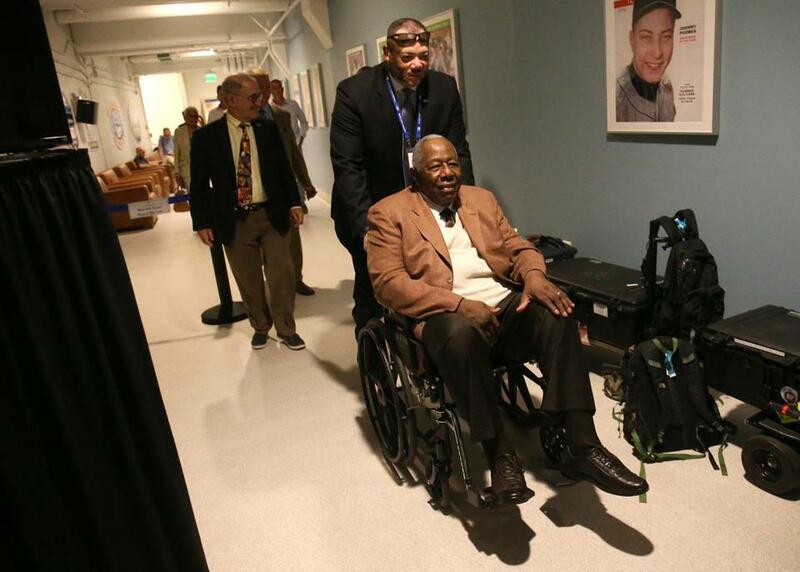 Hall of Famer Hank Aaron arrives at the stadium. So far have walked by Sandy Koufax and Fernando Valenzuela. Don Newcombe also will be at the game. Today has been a good day and the game hasn't even started yet. Red Sox president of baseball operations Dave Dombrowski watching batting practice before Game 3. Behind him is former MLB player Dave Winfield. Chris Sale after throwing in the bullpen ahead of Game 3. 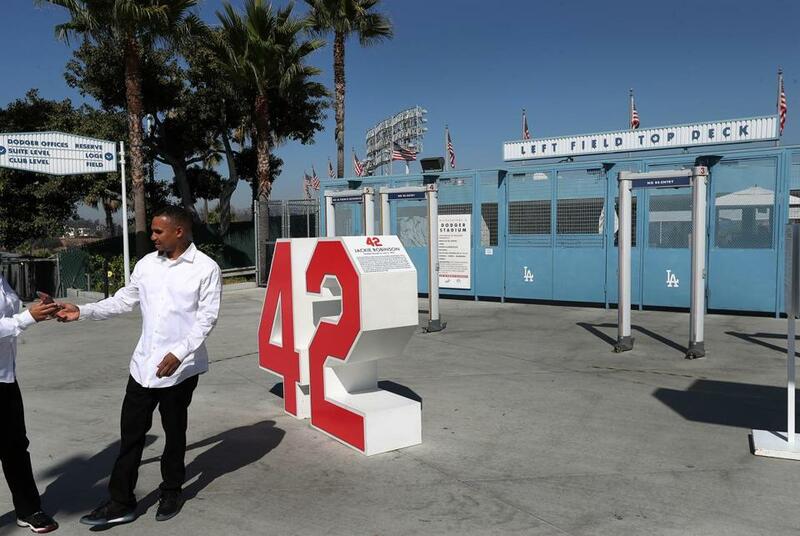 Retired numbers of Dodgers greats are all around the stadium, inclduing the number 42 of Jackie Robinson. Eovaldi is "slated" to start tomorrow, Cora said. But if they feel the game is there to take, he'll come out of the bullpen. They'd rather lead 3-0 and worry about tomorrow when it comes. #RedSox pitchers 4x44 in the WS in the DH era. No XBH, 2 RBIs, 24 Ks. Last hit? Daisuke Matsuzaka in 2007. Before then it was Bill Lee (1) and Luis Tiant (2) in 1975. Has HR was Jose Santiago in Game 1 of '67 off Bob Gibson. JD Martinez has 13 RBIs in 11 postseason games this season and 19 in 18 career postseason games. ■ RHP Rick Porcello (1-0, 4.22 postseason) and RHP Walker Buehler (0-1, 5.40 postseason) are on the mound. ■ Porcello was 3 for 7 with two doubles and three RBIs in interleague games this season. ■ With no DH, J.D. Martinez will be in left field tonight, meaning Andrew Benintendi is out of the lineup. #RedSox were 9-1 in interleague road games this season and averaged 5.2 runs. Whether it's Benintendi or Bradley or Betts, they had somebody sit and figured it out. Cora said Mookie Betts would not start at second base in Game 3. But he did not rule out him playing there at some point in the game. ■ The Sox are 9-0 when scoring first in the postseason. 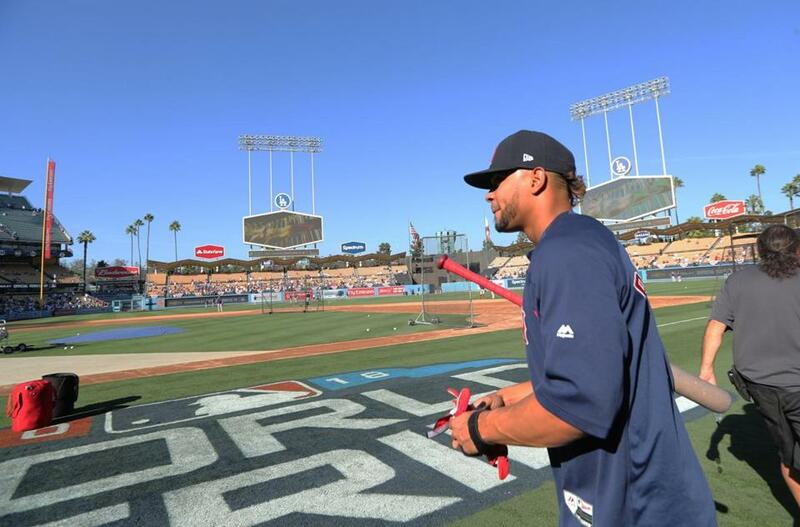 … There were only a handful of Dodgers fans at Fenway Park for Games 1 and 2. But there are a large number of loyal Red Sox fans in southern California and they could make their presence known at Dodger Stadium. ■ Check out Abraham’s full game preview for more notes and nuggets.